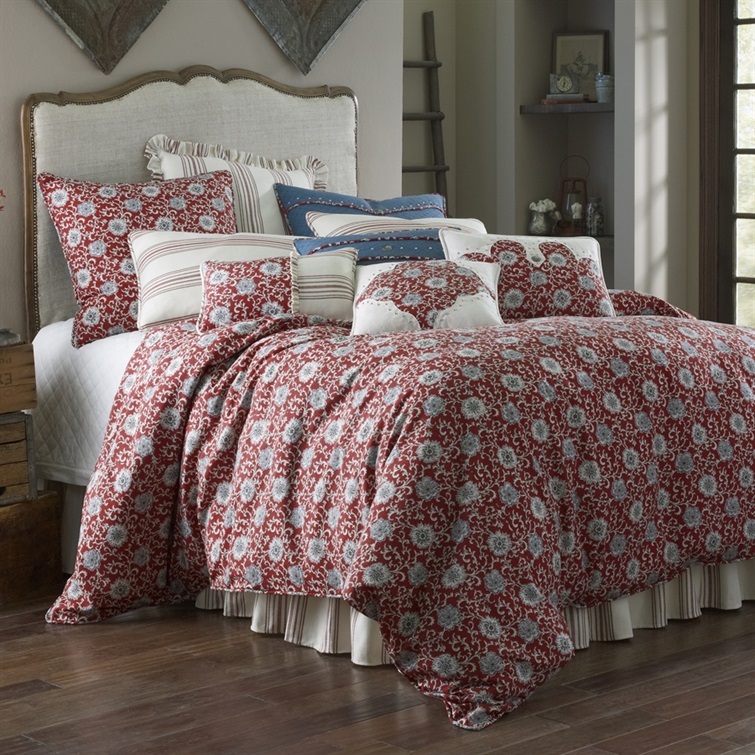 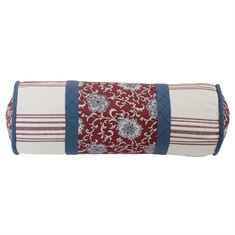 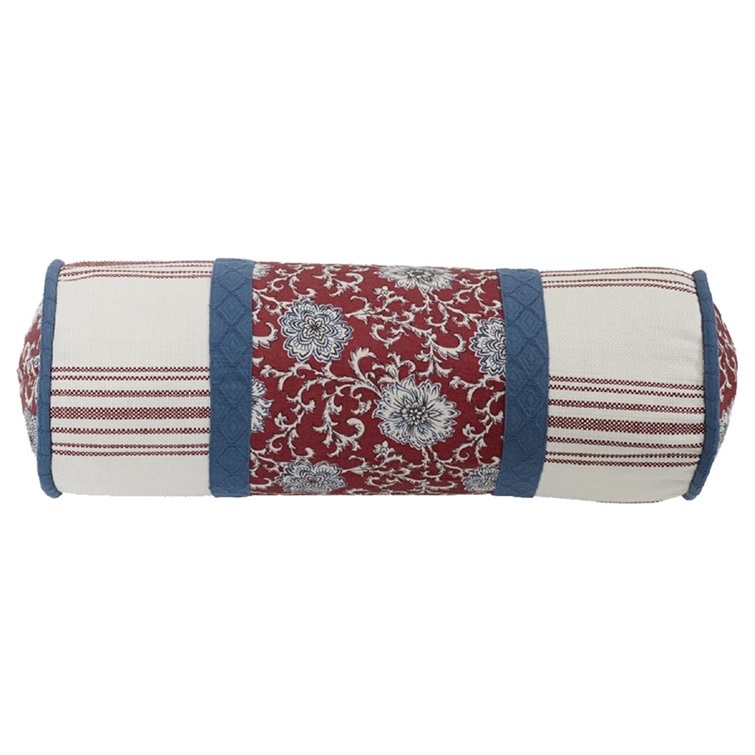 Description HiEnd Accents Bandera western comforter bed set features a red, cream and blue bandana print on the comforter with a coordinate red pin stripe on the gathered bedskirt and pillow shams. 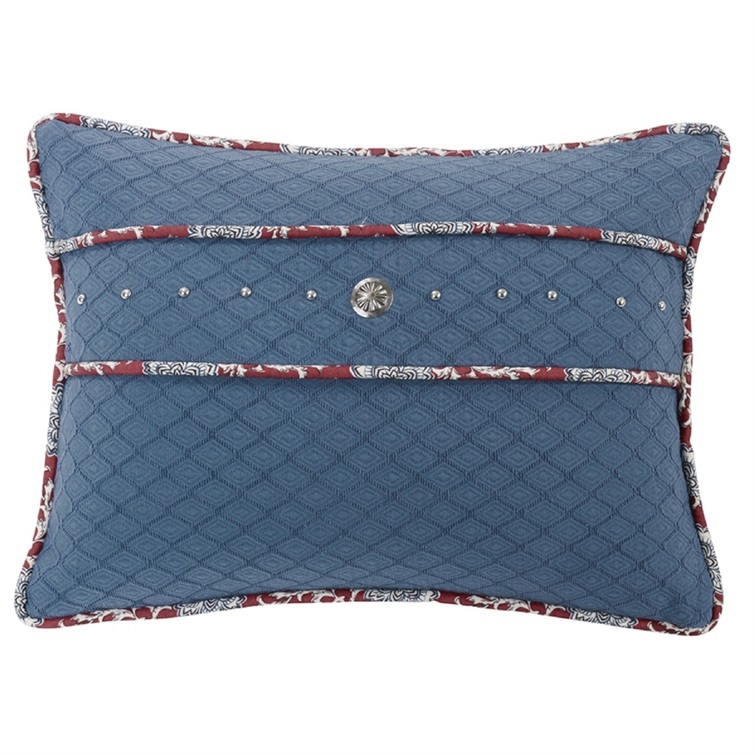 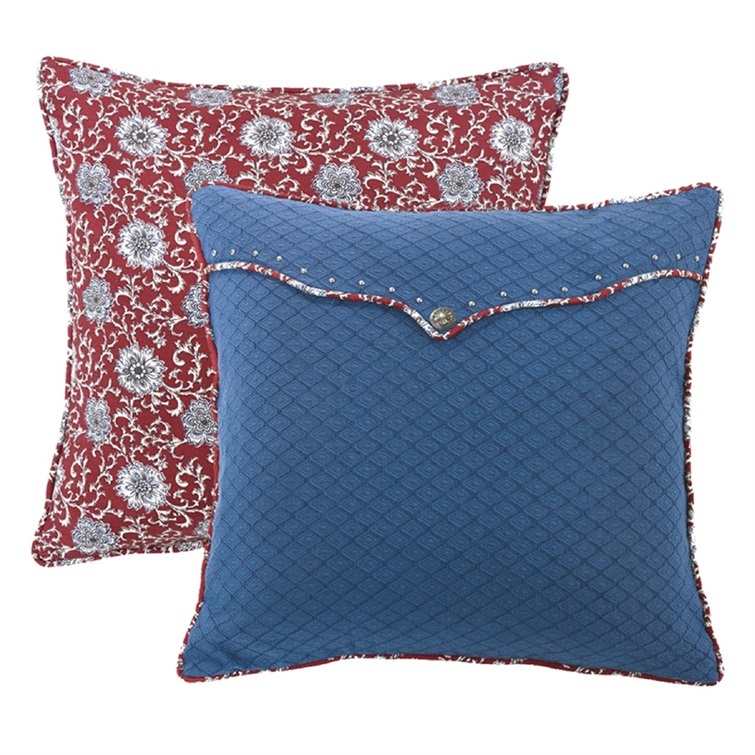 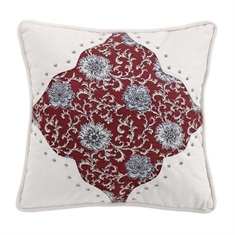 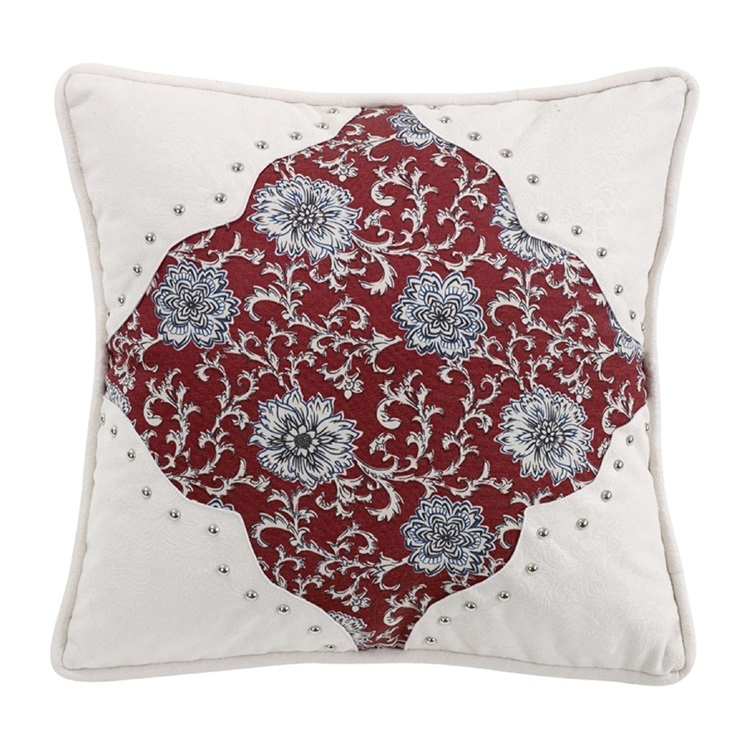 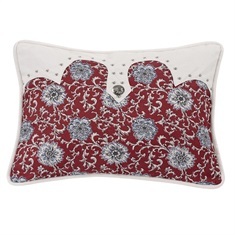 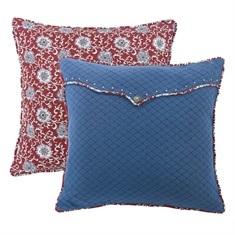 Includes two tone oblong accent pillow. 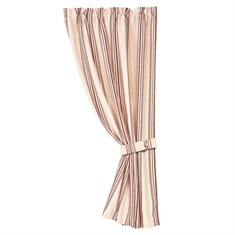 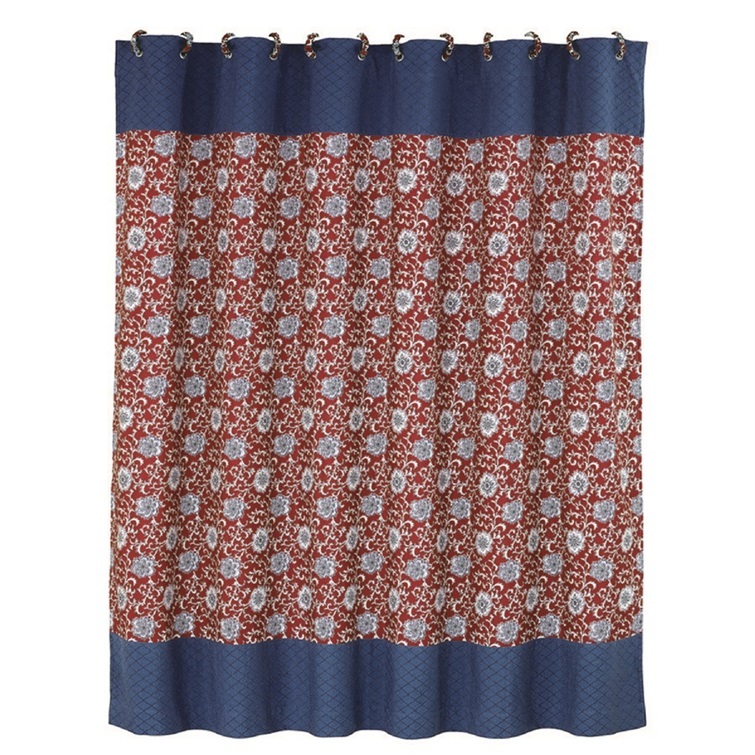 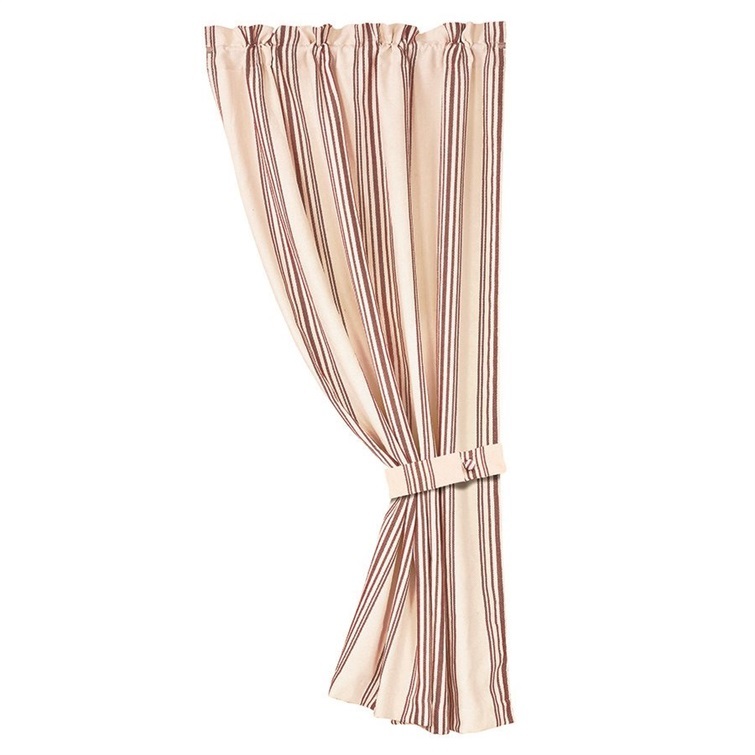 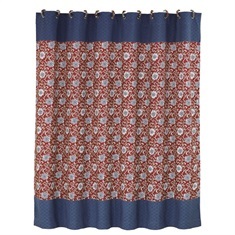 Add matching pillows, shower curtain, valance to coordinate your southwestern , western decor.